Product prices and availability are accurate as of 2019-04-09 12:56:00 EDT and are subject to change. Any price and availability information displayed on http://www.amazon.com/ at the time of purchase will apply to the purchase of this product. The DEWALT DCF680N1 8V MAX Gyroscopic Screwdriver 1-Battery Kit features motion activation which allows the user to control variable speed, along with forward and reversing action by simply twisting the tool left or right. 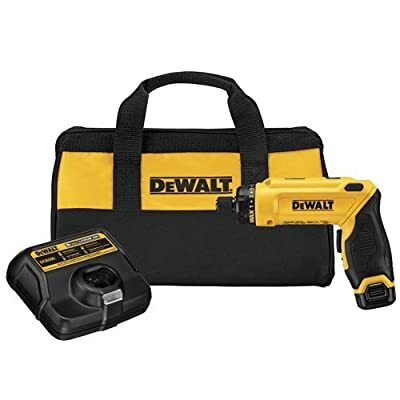 Motion activated variable speed ranges from 0-430 rpm; intuitive motion activated control allows for precise fastening into wood, plastic and light-gauge metal. Adjustable two-position handle allows the user to choose either the straight in-line position or pistol-grip configuration and the 15 clutch position settings allow control when completing light fastening applications. This work light also features 2 LED headlights which enables illumination in confined areas without shadowing. Battery indicator on the tool allows end users to know when to charge packs - one pack covers 5 days of runtime with the typical user. 8V MAX battery pack allows for longer run-time and charges in one hour. 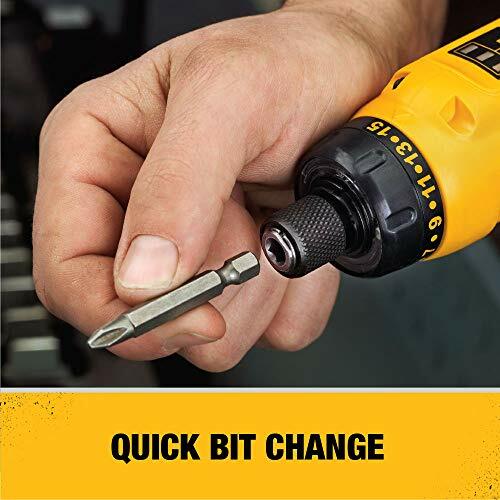 One-handed loading 1/4" hex-shank chuck allows for quick screwdriver bit change and holds 1" bit tips. 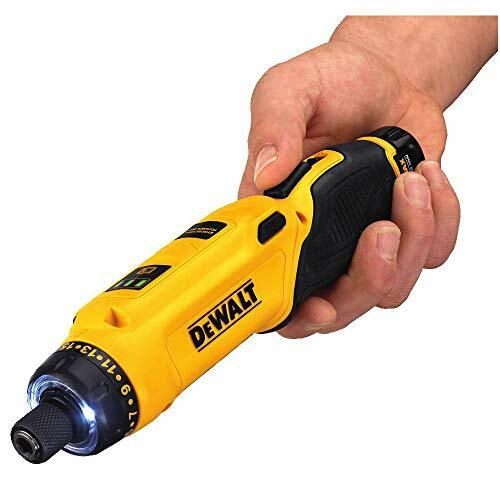 This is an Ideal tool for any professional end user looking for a compact, portable screwdriver with precise speed control. Applications include: #8x1 5/8" Drywall Screw into 2" x 4" SPF, #8 & #6 Machine screw insertion and removal, #6 & #8 Cabinet hardware screws, electrical switch and outlet wall plate screws. Kit includes (1) 1 hour charger, (1) 8V MAX compact battery and Kit Bag.